From Goodreads.com: How far can God's mercy reach? Lately, I have been craving more from the novels that I have been reading (after all a person with tastes as eclectic as mine can only be satisfied with one genre for so long), and A Miracle of Hope more than delivered on what I was searching for. Immediately, I was intrigued by these characters. I wanted to know what secrets they were hiding (for instance would their relationship would develop into more than just a "marriage of convenience" between two complete strangers). A Miracle of Hope is a sweet, engaging, and clean romance full of hope, love and second chances in the face of odds that are very unfavorable. Each of the characters brings something different to the table, from Josiah, who is not only battling his own personal struggle, while also mourning the loss of his first wife all the while struggling to raise his deaf daughter Hannah, to Lindie, harboring a pregnancy resulting from unexpected events that took place in her own community and which resulted in her being "arranged" to marry Josiah by her brother Eli. You couldn't help but fall in love with these characters, and I felt that as they grew throughout the novel, so did the reader. It gave a message of hope, even in the most dire of circumstances that I believe anyone can relate to and learn from. I thoroughly enjoyed Ms.Reid's novel, as not only was her writing style easy to follow, but the ending was tear inducing. I was afraid that I would be left a sobbing mess in my bedroom, but thankfully, the tears were short lived, and the ending was just as perfect as the rest of this novel. 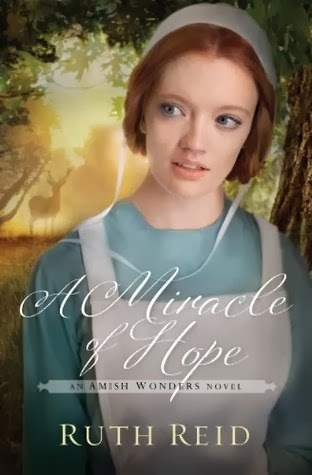 Overall, I would definitely recommend this novel to anyone who enjoys Amish romances, Christians romances, or who are just looking for a well developed and engaging romance who doesn't mind an Amish setting with mentions of God and faith. DISCLAIMER: I received a copy of this book in exchange for my honest review. This has not affected my review in any way, all opinions contained in this review are my own.